Absolutely nothing is too hard for God! He can even bring life from dead places. The other day a thought occurred to me. It seems like there are a lot of infertile women in the Bible who miraculously give birth. I suppose there are many more who become pregnant with no trouble, but it seems that the barren ones are constantly highlighted. Other than the fact that it is very interesting, why is that? God made Adam and Eve and told them to populate the earth. But sometime over the years something went wrong in the human body and the ability to bear children became impossible for some. Sarah, the wife of Abraham, lived to be ninety before she had the joy of holding a sweet newborn close to her breast. Rebekah, the wife of Isaac, needed divine intervention to give her a son. Rachel, the favorite wife of Jacob, also, went years without carrying a child. Hannah, the mother of Samuel, begged the Lord to bless her with a son and promised to return the child to Him when he came of age. Then there was Samson’s mother; the Shunamite woman who built the prophet’s chamber for Elisha; Elizabeth, the mother of John the Baptist; and, of course, there was Mary who gave birth to the Son of God while still a virgin. As I pondered this interesting pattern, I wondered. Could it be that throughout the Bible narrative God was demonstrating that absolutely nothing is too hard for Him? If God can bring life from a womb that is dead, He can certainly bring life from other dead places too. As humans we struggle with impossibility. While waiting for God’s life-giving answers we are often stretched in our faith. This struggle is not always portrayed in the Bible details, but anyone with an imagination can read between the lines. Each woman who waited must have grieved deeply over her monthly disappointment. Each cycle brought new pain and anguish, and Hannah even endured piercing ridicule from her husband’s other wife. Her heart-wrenching anguish, like a torrential flood overflowing the riverbanks, is seen as her tears and prayers deluged the throne of heaven. But after the mental rollercoaster was over, Abraham, in faith, came to a conclusion. God promised me this son. He gave him to us when Sarah and I were long past the age of childbearing. If the Almighty One wants me to sacrifice the child, then He must be able to raise the dead. God does not always choose to answer the prayers of infertile couples in the way they would hope. But by reading these stories we can understand that God is still the God of the impossible. He can still bring life from the deadest of places. This glorious truth is a blessing as we navigate a life full of hopelessness. Why were there so many stories about infertile women in the Bible? 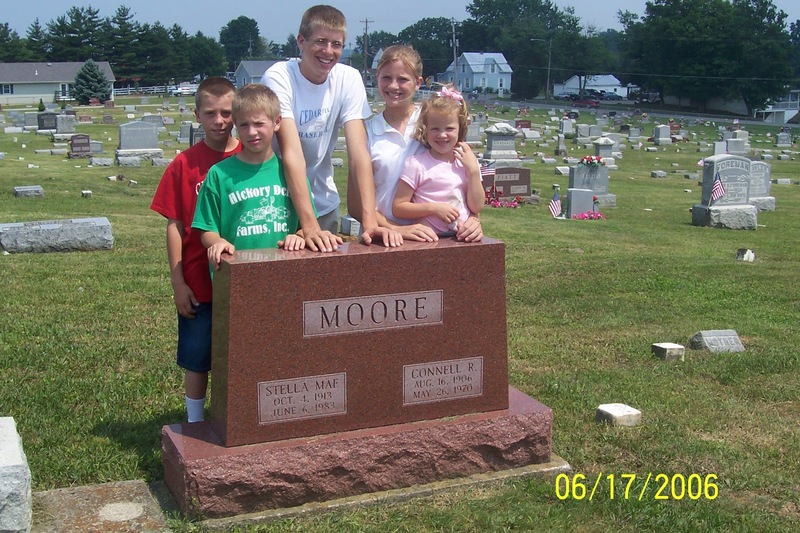 Maybe it was to move each of us to a greater faith in God for the situations we face. The next time you are facing a situation that looks bleak at best and hopeless at worst, think of all the childless couples in the Bible who miraculously received the gift of a precious bundle. Remind yourself that your circumstances are not impossible for God. He can bring life from even the deadest of places. There are lots of things I like about living in our small town. I love chatting with friends while picking up a gallon of milk at the local grocery store. I love riding my bike to our cozy library and picking out a movie with the help of a familiar and friendly face. I enjoy getting an ice-cream cone or penny candy at Mom and Dad’s Dairy Bar. And I like being greeted by name at the local bank. But there is one recent activity that has been fun as well as encouraging. I love to go downtown to the second hand store, Second Act, and see what I can find. Whenever I visit this tiny thrift shop I head straight to the book section and peruse the recent donations. There aren’t a lot to choose from, but regularly I leave with a bag of reading material to last me a while. 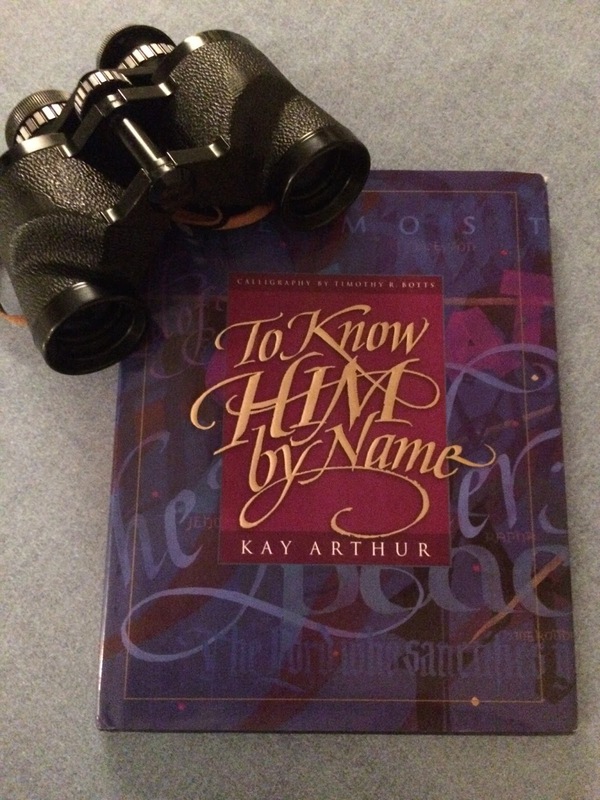 One of my most recent finds was To Know Him, by Kay Arthur. This coffee table edition lists the different names of God and explains their meaning. The other day I read about the name El Roi, which means “the God Who sees.” This name appears in the book of Genesis when a young servant girl, Hagar, who had been put in a compromising position, finds herself in a hot desert all alone. As the maid of the rich nomad, Abraham’s, barren wife, she was coerced into bearing him a son. After she became pregnant, Sarah despised her. So Hagar ran away into the hot desert to escape the strained and uncomfortable circumstances. Though alone and rejected Hagar was not forgotten. God knew where she was and came to her aide. He spoke to this lonely and hopeless girl, gave her some precious promises about the child she carried, and guided her with specific directions about how to proceed. Hagar, overwhelmed with amazement and gratitude, called the Lord, “You are a God Who sees (El Roi).” When she was all alone, when she was rejected and considered worthless, when she was misunderstood and mistreated, the great God of heaven saw all that was happening. Nothing was hidden from His sight. He came and found this insignificant maid servant and spoke words of comfort to her. This same God still sees all. Nothing hidden even in the darkness or the deepest parts of a person’s heart escapes His notice. He sees all. He knows all. He understands all. So when you feel that everything has gone against you and there isn’t one who cares, or even notices, call upon the name of El Roi. Remember that our great God sees all!